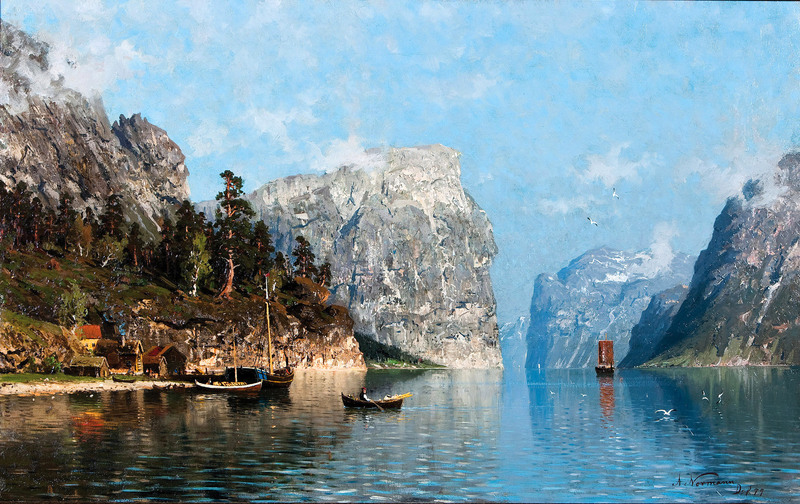 Adelsteen Normann – private collection. 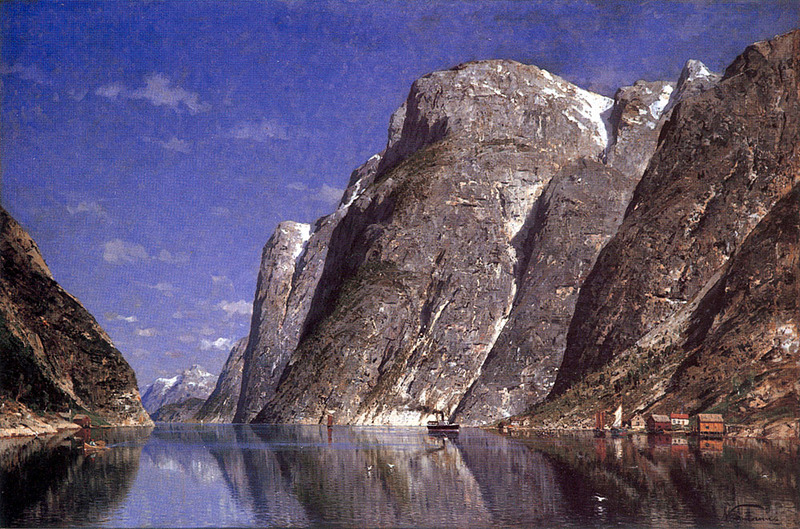 Title: A Norwegian Fjord Scene. Date: c. 1870s-1910s. Materials: oil on canvas. Dimensions: 70 x 103 cm. Sold by Bukowskis in Stockholm, on June 11, 2012. 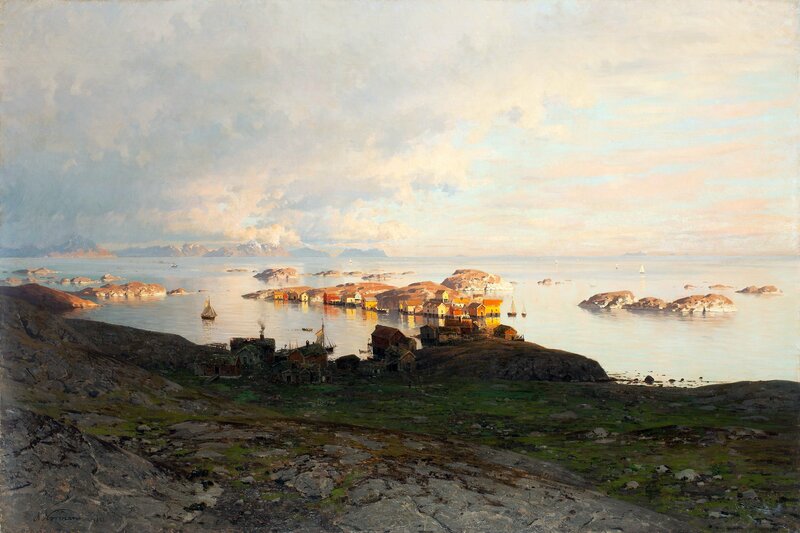 Source: https://www.blouinartinfo.com/galleryguide-venues/753196/past-results/104656?sort=sale_h_to_l. I have changed the light and contrast of the original photo. 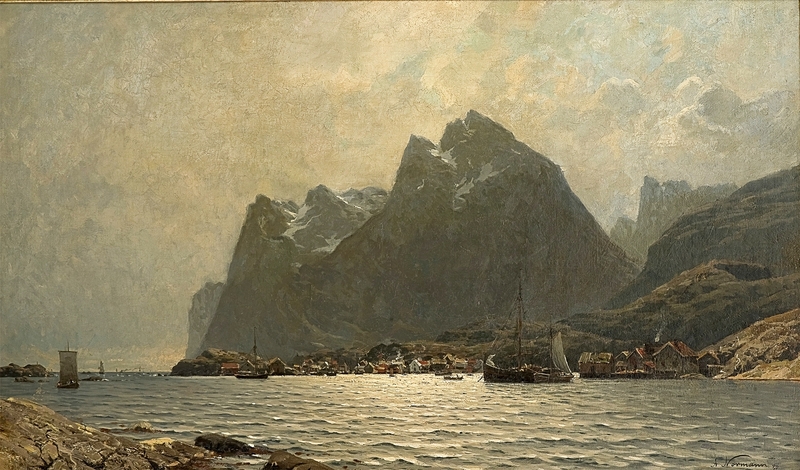 Adelsteen Normann – private collection. Title: Sommernatt i Lofoten/Summer night in Lofoten. Date: 1882. Materials: oil on canvas. Dimensions: 104 x 157 cm. Inscriptions: signed A. Normann and dated. Auctioned by Bukowskis in Stockholm, on December 3, 2013. 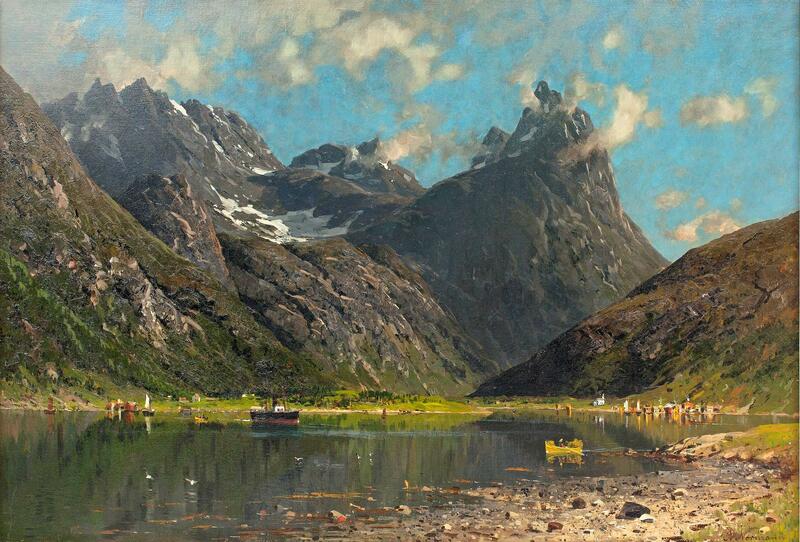 Source: https://www.bukowskis.com/auctions/577/181-adelsteen-normann-sommernatt-i-lofoten. I have changed the light, contrast and colors of the original photo. Materials: oil on canvas. Dimensions: 105 x 158 cm. Sold by Sotheby’s in London, on June 6, 2001. Source: http://xaxor.com/images/Oil%20Paintings/classic%20A/Adelsteen%20Normann%20(1848-1918)/Normann_Adelsteen_The_Steamship.jpg. I have changed the contrast of the original photo.